Lay-on lid for CB3 pallet box with size 1200 x 1000 mm, with reinforced bottom. 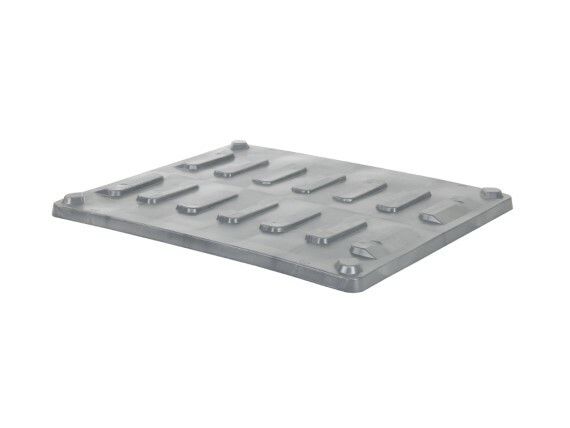 Version Lay-on lid for CB3 pallet box with size 1200 x 1000 mm, with reinforced bottom. 83390800 is an impact-resistant injection-moulded lid, suitable for tension straps.